Dimensions: 7-3/4 x 7-3/4 in. 36 pages. Black line drawings throughout, includes 2 perforated postcards. For ages 8 and up. 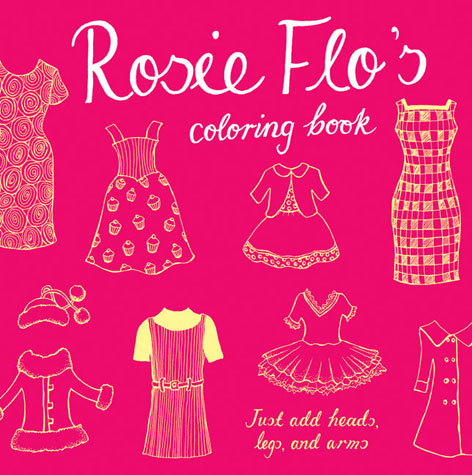 Welcome to the world of Rosie Flo! This wonderful collection of dresses and costumes is just waiting for characters to wear them, and that's where you come in. You create the heads, legs, and arms, and then color and complete each scene any way you imagine it. This world is yours to fill with your colors and creativity!